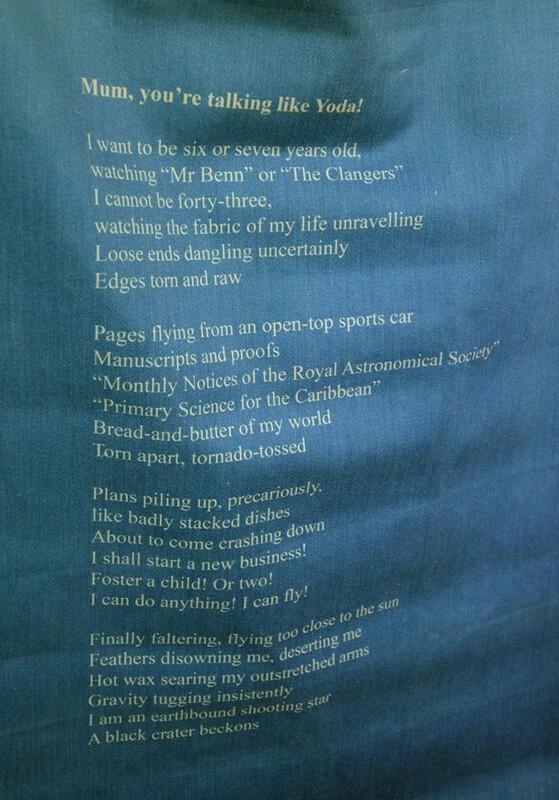 In this exhibition Roberts uses a combination of prints and poetry to convey the extreme mood states that have been part of her experience of having bipolar disorder (a serious mental illness, formerly known as "manic depression"). She feels that there is still a stigma attached to mental illness and that it is important to talk about it, to increase understanding. She uses this body of work as a catalyst for conversations about our mental health and the part that art, in all its forms, can play in our wellbeing. 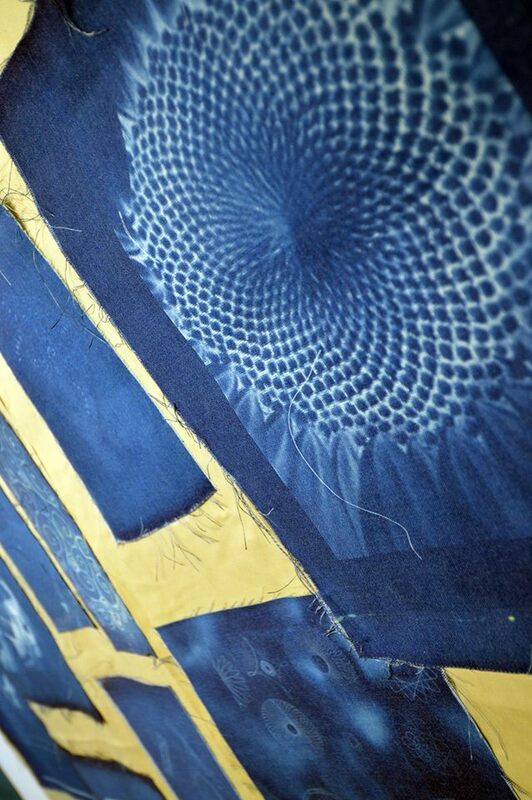 Torn fabric cyanotypes and themes of spiraling out of control depict the manic side of the illness and the tornado-like effect it has had on her life, particularly before her diagnosis and treatment. 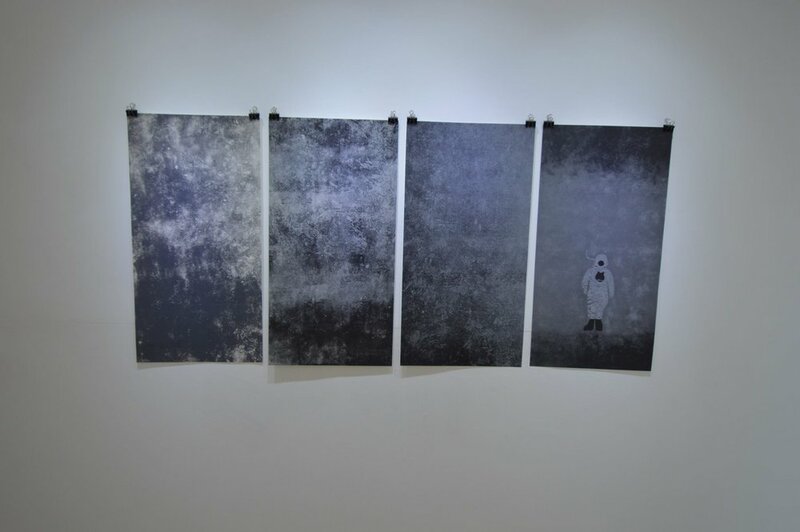 To convey the depths of depression that form the other side of her illness, Roberts uses the image of a diver enclosed in an old-fashioned diving suit, alone and isolated in a bleak, grey world. 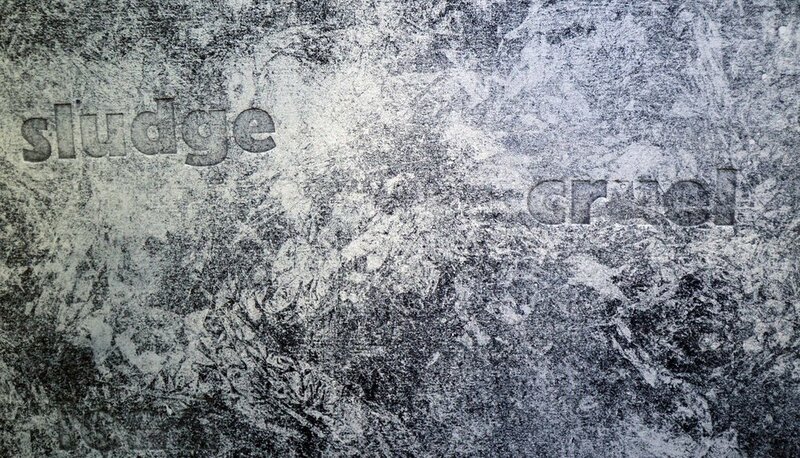 Monotypes in various shades and textures of grey with letterpress debossing help to convey the feelings that she associates with this state of mind: greyness, heaviness and isolation. 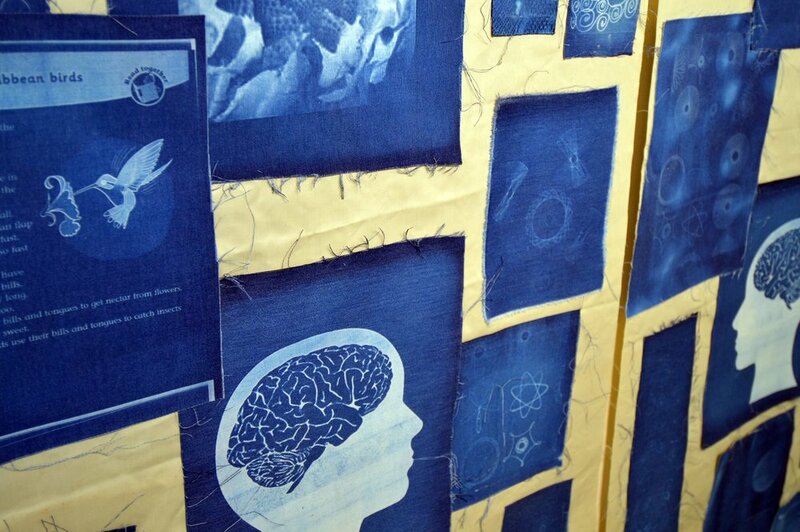 Roberts uses her own poetry, printed on fabric using cyanotype, to complete these pieces. 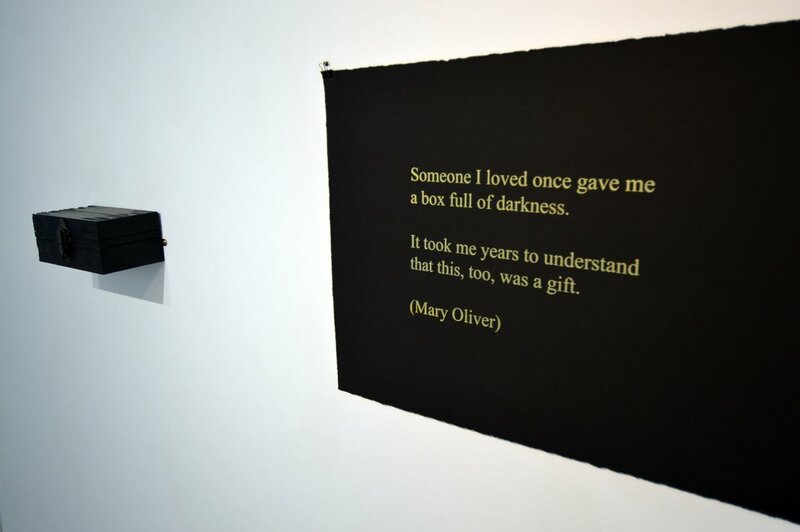 The final piece, "A box of darkness", is based on a screen print of a quotation from a poem by American poet Mary Oliver. Through this, Roberts shows that, in the midst of accepting her illness and learning the art of living well with bipolar disorder, she has unexpectedly found a gift. This gift is expressing herself through print making and writing and finding, through working in Seacourt Print Workshop, support and community. 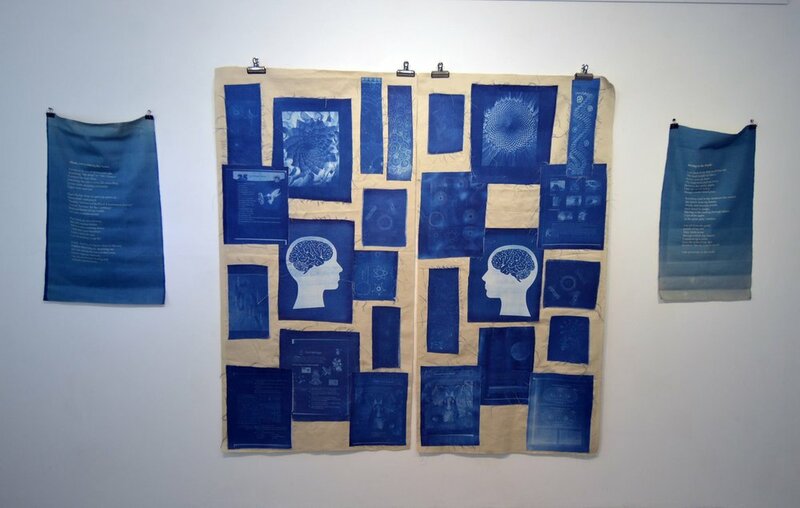 Roberts has recently taken part in the Bothnia Biennale in Finland, the Eden's Blueprint exhibition at the Oriel Gallery in Antrim and the European exhibition at the NI Executive Gallery in Brussels. Forthcoming exhibitions include Mount Stewart, Belfast International Airport and the Pyramid Atlantic Centre in Washington.